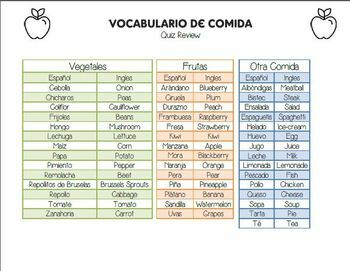 A quiz and study guide that covers basic Spanish foods (focused largely on fruits and vegetables). 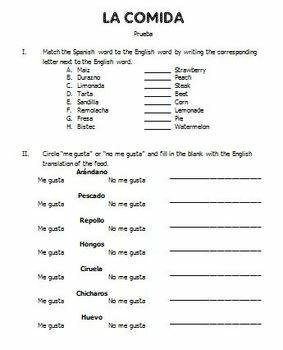 Has a matching section, "me gusta" o "no me gusta", fill in the blank, and categorizing. File is a zipped folder which contains Word Document and PDF versions of both the quiz and the study guide. *Goes with my Fruit, Vegetable, and Other Foods Flashcards (sold separately).